Very nice staff, perfect location, marvelous view on Los Locos beach! Highly recommended! The place is fantastic, on both sides the sea, beautiful views. I rented Duplex Apartment. Apartment was very nice, two-level. Upstairs bedroom with a double, comfortable bed, terrace. Living room connected to the kitchen downstairs. There is also a spacious bathroom downstairs. The living room has a table, sofa, flat TV. Kitchenette equipped with a stove, fridge, and kettle. Very nice view from the upper terrace. Apartments were clean and up to date. Beautiful location. Location. Paid parking. Restaurant across road. 2 terraces with furniture. Fantastic views. Very large comfy bed. Good swimming pool with sun beds and views. Steps down to beautiful beach. Location, location, Location!! Split between Loco beach (awesome surf and beach bar) and La Concha beach (main beach with beautiful sand and facilities). Friendly area, little English (excellent) and awesome food and drink in El Dichoso. Lock in a great price for Apartamentos El Caserio – rated 8.6 by recent guests! Located on El Dichoso Peninsula and next to Suances lighthouse, El Caserio features a furnished terrace with beautiful sea views. The outdoor pool is set on Los Locos Beach. The functional apartments are cleaned daily and feature a terrace. The kitchenette comes with a fridge, microwave and coffee-maker. 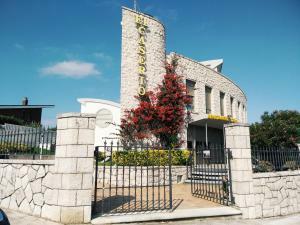 El Caserio complex offers a cafe where guests can enjoy breakfast and a variety of tapas. The restaurant serves traditional Cantabrian cuisine, including fish and seafood. 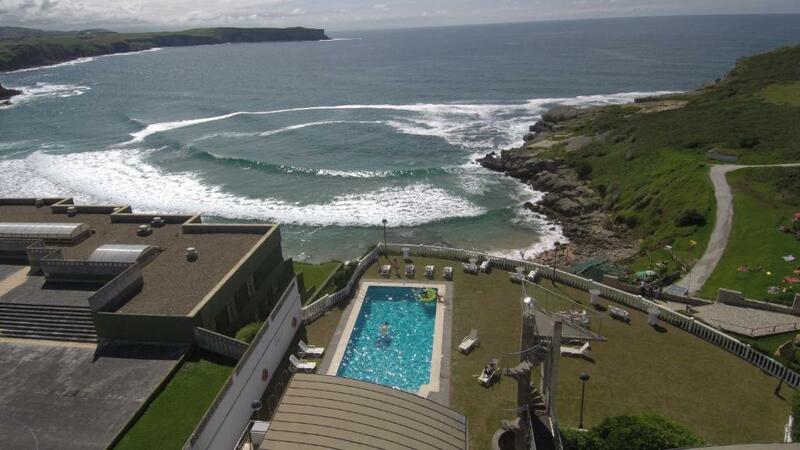 Guests can enjoy walks along the stunning Cantabrian coast. The tour desk can offer information on the best routes. 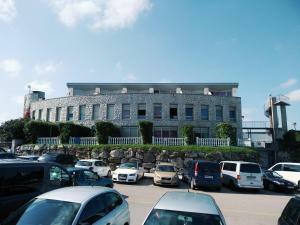 뀐 Located in the top-rated area in Suances, this property has an excellent location score of 9.3! When would you like to stay at Apartamentos El Caserio? This apartment accommodates 3 adults, or 2 adults and 2 children (up to 12 years old). The first floor has a lounge and kitchen area, and the upper floor has a bedroom and a terrace. Accommodates either 3 adults or 2 and 1 child (up to 12 years). It has a kitchenette, 2 single beds placed together, a lounge area with a sofa bed and a terrace. Nuestro establecimiento destaca por el enclave en el que se sitúa. Estamos en una península bañada por dos playas: la de Los Locos, que es la más cercana debido a que el acceso está a escasos metros de este establecimiento; la de La Concha, a prácticamente 5 minutos a pie ya que se puede acceder por un atajo. En la zona del faro, en la cual nos encontramos, se puede disfrutar de uno de los paisajes más bellos del pueblo. Es bonito pasear por Roca Blanca o contemplar en los días soleados el contraste del mar con los Picos de Europa en la lejanía. También son fantásticos los atardeceres vistos desde nuestra terraza musical (abierta desde el 2 de julio hasta el 15 de septiembre), en la que poder disfrutar de las vistas al mar tomando un mojito. House Rules Apartamentos El Caserio takes special requests – add in the next step! Apartamentos El Caserio accepts these cards and reserves the right to temporarily hold an amount prior to arrival. Please note check-in will be through the hotel El Caserio, situated next to the apartments. Please inform Apartamentos El Caserio of your expected arrival time in advance. You can use the Special Requests box when booking, or contact the property directly using the contact details in your confirmation. Nearby restaurant was closed and the ones in town didn’t open till 9. We were starving!! We were not advised by Booking.com that the restaurant was closed for the duration of our stay. When you advertise the apartments and restaurant with extensive seafood menu it would be nice if the menu was more than 6 or so dishes and even better if 4 of the dishes were more than a choice of stewed of grilled. The advert shows an extensive seafood menu which was just not true. furthermore the resturant is only open from midday to 4pm which is useless so if you want dinner you have to get in your car and drive which means no drink. Much better to stay in a Hotel near the harbour where everything is within walking distance. we wont be staying there again. BIG DISAPPOINTMENT. We waited a long time for check-in. Location. More freedom as an appartment. Would be nice to have coffee maker in kitchenette, but cafe bar had excellent cafe con leche for €1.5. We arrived 4th October. Most of the restaurants and bars were shut during the week as it was out of season. I wouldn't recommend coming here unless it was a weekend or in season (June to September) or Easter is supposedly busy. Advertised with a room safe but were told the safe was not working. The weather was not good and because of the location you feel the full force of the wind. Location was excellent with good sea views. Sound proofing terrible in apartment. Walk to La Concha beach is steep and for some maybe difficult.